Happy New Year! I'm hoping to start out strong and stay strong in this little space this year! And since it's the New Year, it's time to talk Word of the Year! I've chosen a Word of the Year for 6 years. This will be my 7th word. My 7th year. I love the little tradition it has become and the exercise of choosing my word. Much easier than making exercise a resolution! See what I did there? ;) Seriously though, I do have a process! I ponder words that pop into mind, reflect on the last year, think about what's ahead and then pray! Choosing last year's word was a breeze. My word had been simmering for 6 months--since my first mission trip to Kazakhstan the summer before. Landing on this year's word has been an entirely different experience. I didn't have one lingering around. I "tested" a few words, praying about how each word would apply and thinking about what each word would mean in the year ahead. I thought I narrowed it down, with Hubby's help, but the words just didn't fit. Back to the drawing board, I went. And then, finally, my word chose me! My 2016 Word of the Year . . . I'm facing a year that's fairly wide open. And I am filled with hope! I'm hopeful that Waybe will learn to walk this year! I'm hopeful for growth in relationships! I'm hopeful as I enter into a new decade this year! I'm hopeful in my relationship with the Lord! I'm hopeful in pursuing creative passions! And more. Not because I believe all the things will turn out the way I would like. I'm certain they will not. I'm certain I will disappoint people and they will disappoint me. But, instead, I have hope because of my future in the Lord! Do you have a Word for the Year? 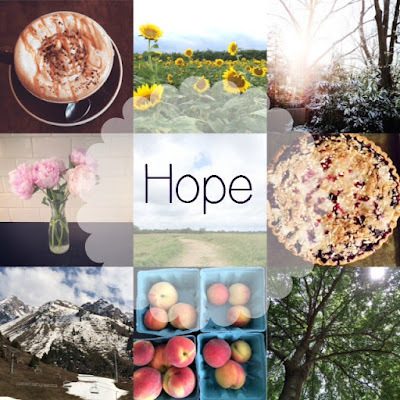 What are your hopes for 2016? I'd love for you to share them! I am so glad to have crossed paths with your space! A follower of mine recently shared your blog with me as our story has some similarities! 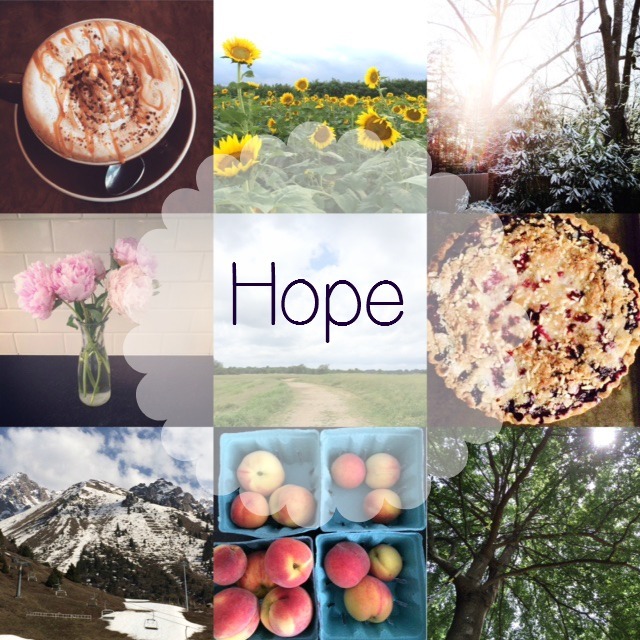 "Hope" - that's a focus for our family this year, too! Thank you for sharing this! Yourbooklist is amazing . seriously they nice and in winters with anice cupof mocha r hot chocolate or maybe espresso it willbe so nice and awesome . i really want something like this like every morning . We had a lot of last minute decorations to add, and the staff was eager and willing to help. The food at Chicago event space was amazing. They have extremely unique and tasty food. Also this place has great views and beautiful big rooms.